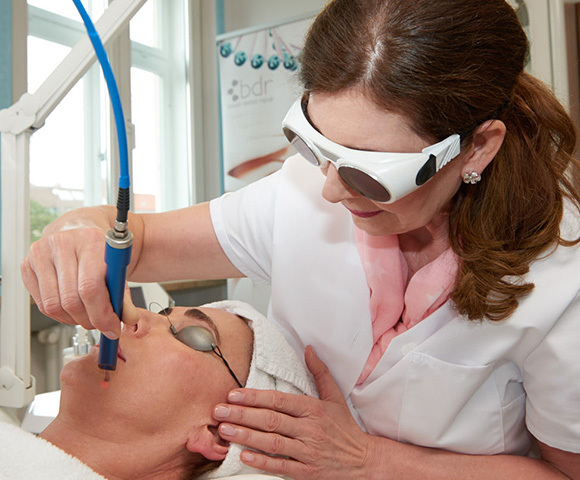 Here, the NLite™ V3 applies laser impulses to the skin, briefly heating the capillaries in the dermis. This triggers a regeneration process in your skin, with collagen production increasing by over 80% after the first treatment alone. Your complexion will be left looking fresher and firmer, and the depth of wrinkles considerably reduced. We advise that you refrain from smoking at least one day before your treatment and two days afterwards. Smoking causes the blood vessels in your skin to narrow, which in turn compromises the laser’s effectiveness.